‘Take a letter, Deirdre’ could have been the soundtrack to Deirdre Dyson’s life if she hadn’t had the doggedness and perseverance to pursue her love of art and switch track from being a secretary to getting herself into art school. 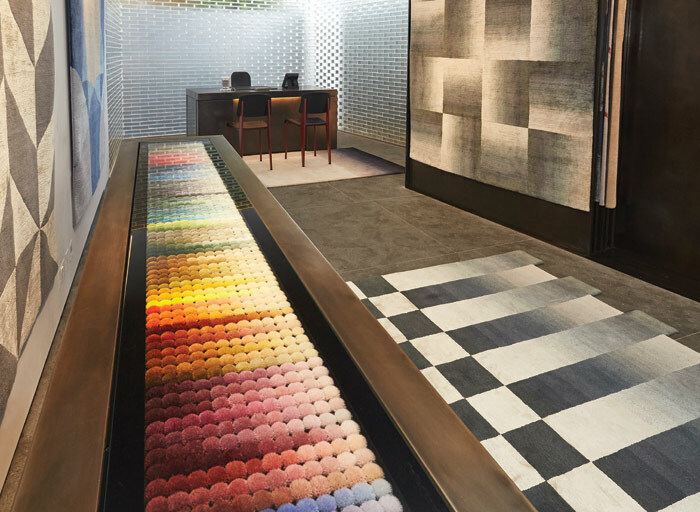 After a recent transformation of the Deirdre Dyson showroom I took the opportunity to meet up with the carpet designer. The Deirdre Dyson gallery, as it's known, hosts Dyson's latest collection of luxury carpets after its refit by Timothy Hatton Architects. The light-filled and extended space features crisp lines and a suitably contemporary staircase, commissioned specially for the space. 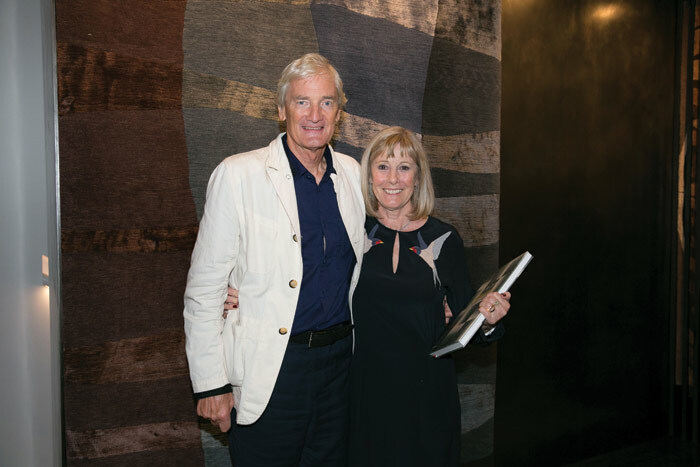 The gallery is a milestone in the carpet design business, which has grown both in the UK and abroad, and Dyson shows me around the airy new space while offering an insight to her unique career path. Growing up in south-east London, Dyson saw her future as an artist. 'Drawing and painting as a child is something I loved doing, above anything else, and I always thought that perhaps I could go to art college,' she tells me. Despite her passion for art, it would have meant doing GCE exams, and her teacher convinced her otherwise. Instead, Dyson was persuaded to take the RSA exams and qualify as a secretary, like her mother, with skills in shorthand and typing. It was a decision to regret, Dyson recalls. 'The headmistress said to me "You'll never make a career out of doing art; you'll never earn any money". It was that remark I hate and remember with real anger!' she says. After school Dyson worked as a secretary for an insurance company, before getting herself 'out of there' to work with Chamberlin Powell & Bon, then architecture practice designing the Barbican scheme. She developed a keen interest in the scheme through attending site meetings with the architects. During her lunch breaks, Dyson was drawing, which didn't go unnoticed by her employer. 'My boss said: "You should be at art school",' she recalls, and it was at this moment that she decided to 'at least try'. Flourishing under tutors including Bridget Riley and Peter Sedgley, Dyson went on to complete a three-year diploma in graphics and illustration at Wimbledon Art College She talks of it being 'on the right track' after a regrettable career start but without an inkling of how things would turn out. To supplement the family income, Dyson set up a life-drawing class at home, but also continued drawing and painting. 'Gradually the paintings got bigger and bigger and I got some really decent shows: one in New York and three in London [including at the Grosvenor and Albemarle galleries]. She was initially invited by a store in the King's Road to design a contemporary range carpets after sourcing a new carpet for the family's new London home. Accepting the offer as 'something to do' alongside her paintings she designed two collections, but when the store owner's financial backer announced he was pulling out she opted for a new approach: focusing on contemporary design and cornering a section of the market with completely bespoke service. It was up and running for a short time before the owner's interest went elsewhere. At this point Dyson decided to set up on her own. 'I thought, how depressing: after all this energy and everything I had put into it, perhaps I could do this on my own?' she says. For some 15 years her carpet design business remained a small, while hugely successful, enterprise largely for domestic interiors. In the past two years, the company has doubled in size while also opening an office in France, promoting the Deirdre Dyson brand and establishing contacts with interior and contract designers. 'Things are really taking off. It's been mainly steady residential work, but now it's mostly contract interior design. At last, we have interest from architects,' says Dyson. 'I've built up this reputation for top-quality and unique designs; I don't want to end up doing something that everyone will love, because that's boring for me,' Dyson continues. But these days, she is more relaxed about her connections and association with her husband's business.